We are now seeing budbreak on our older trees. 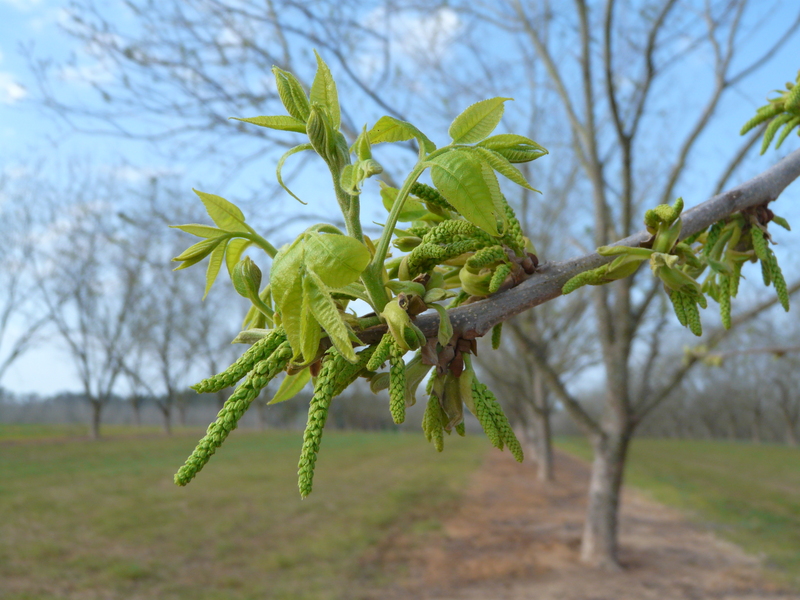 UGA Extension Pecan Horticulturalist notes that our budbreak timing is pretty close to last year – thanks to the cooler weather of a couple of weeks ago. Pecans across the state narrowly missed serious damage from the freeze. We won’t know about young trees until May or June. 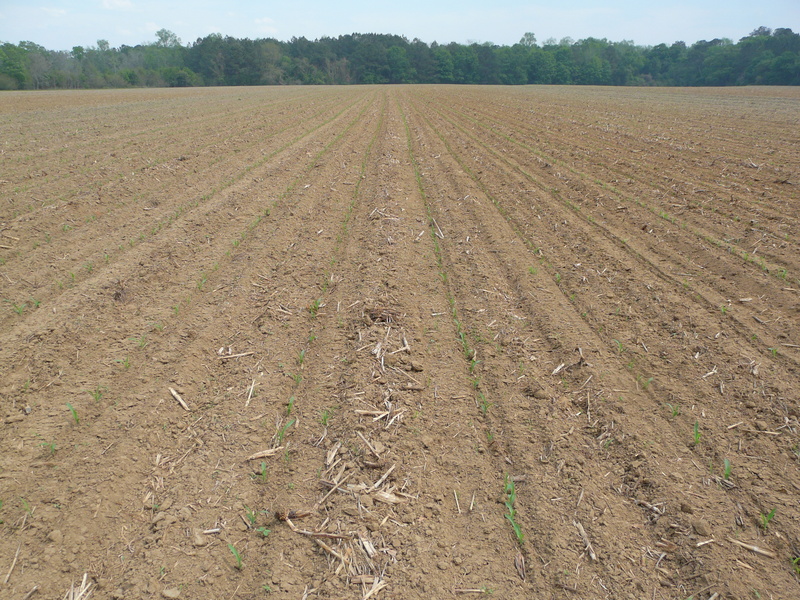 In Thomas County, it doesn’t look like the duration was long enough to have a major effect. Dr. Wells points out though budbreak has begun, he is concerned that it may be somewhat uneven as a result of the warm winter. This could affect pollination. 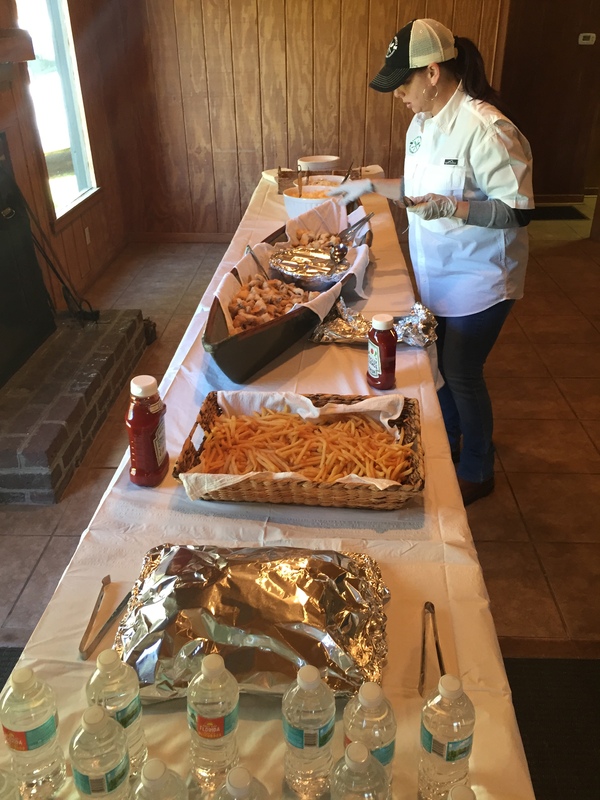 With the arrival of budbreak, there are other things to keep in mind. 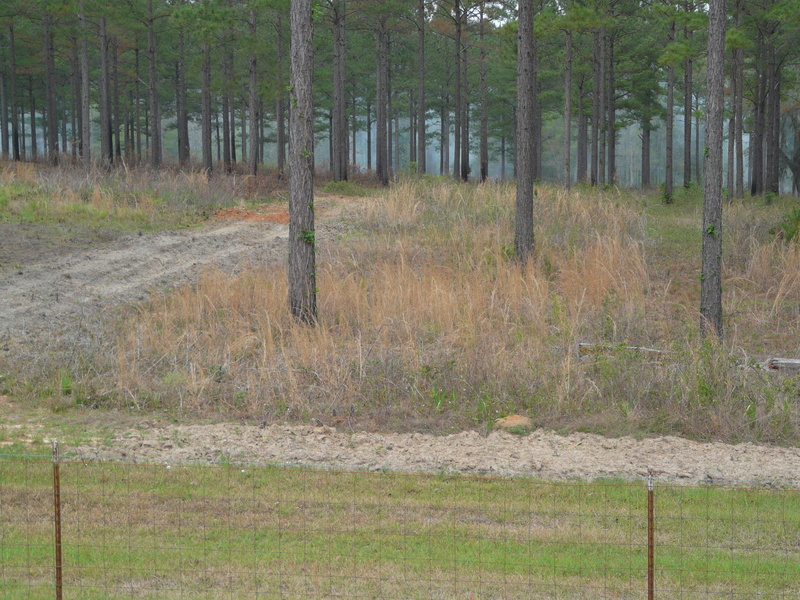 It has been abnormally dry in south Georgia for weeks, and the trees will need water as they wake up. 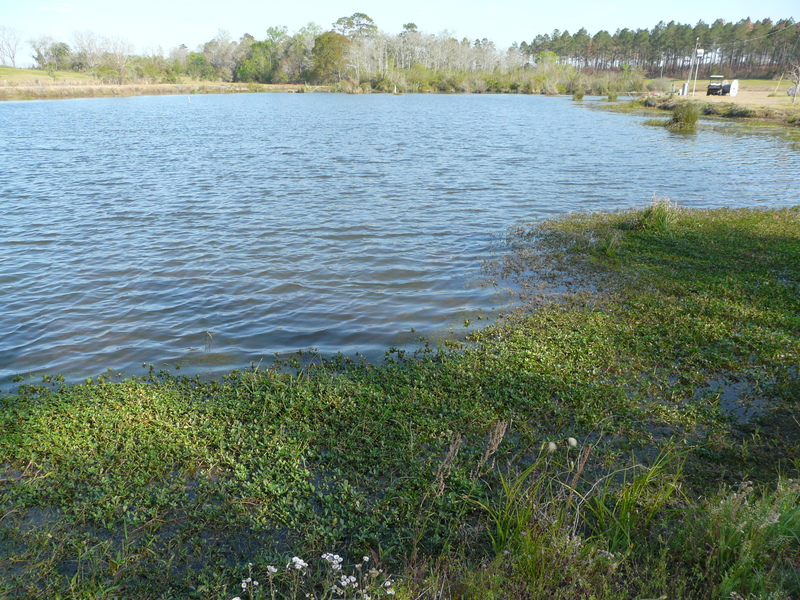 Mature trees should be irrigated at 17-18% of full capacity at this time. Young trees in the 1-3 year old range need about 4 hrs every other day throughout the season beginning now. Rain is in the forecast for Friday so if you receive a 1″ rain or more, turn the irrigation off for 3 days. Be on the lookout for budmoths in young trees. 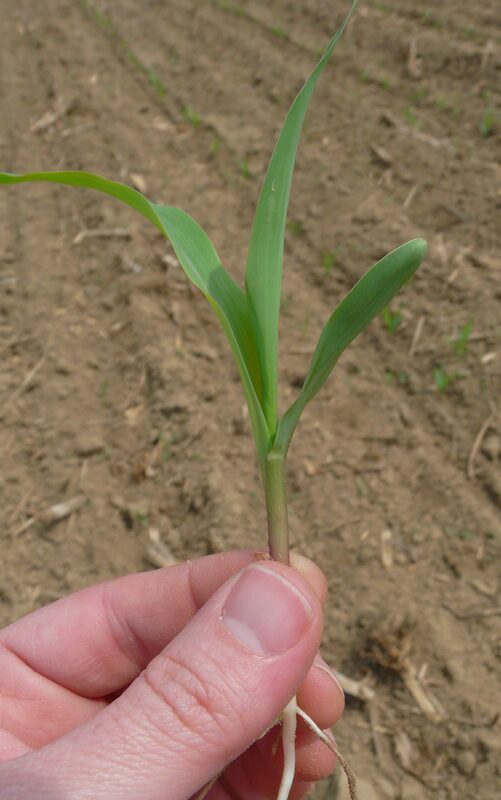 They begin feeding soon after budbreak and can destroy the buds making it difficult to establish a good central leader. 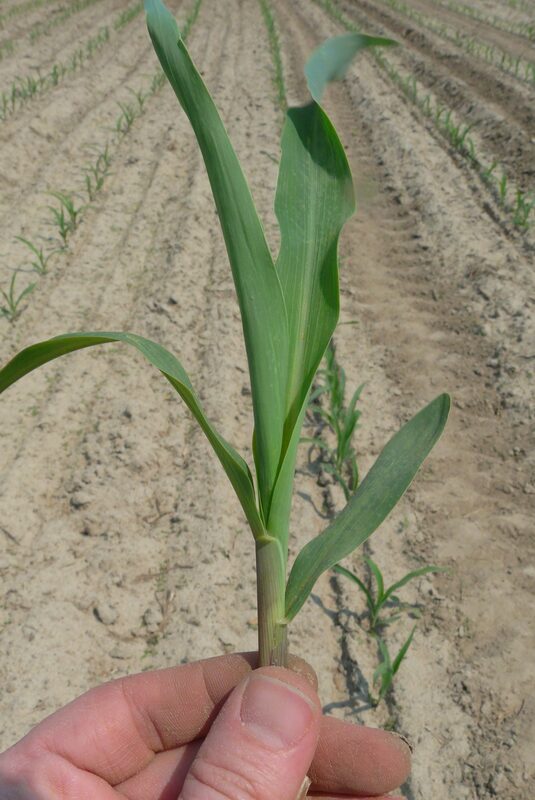 Treat with chlorpyrifos, a pyrethroid, Intrepid, or Dimilin as needed. 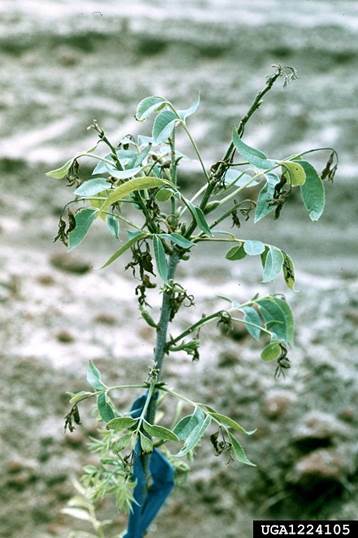 Phylloxerra damage was particularly severe last year. If you plan to treat for Phylloxerra, do so now for those varieties that have started to break bud. 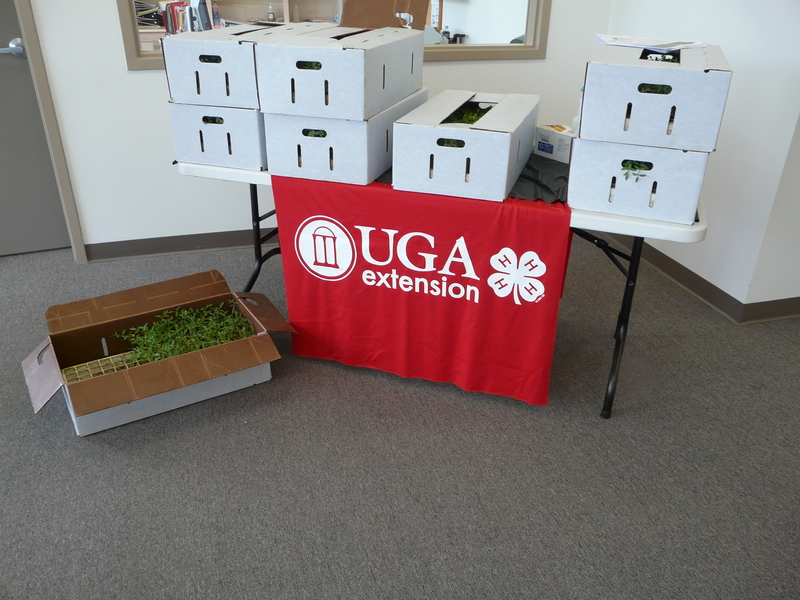 These treatments must be made when budbreak begins or you will miss the window for treating them. 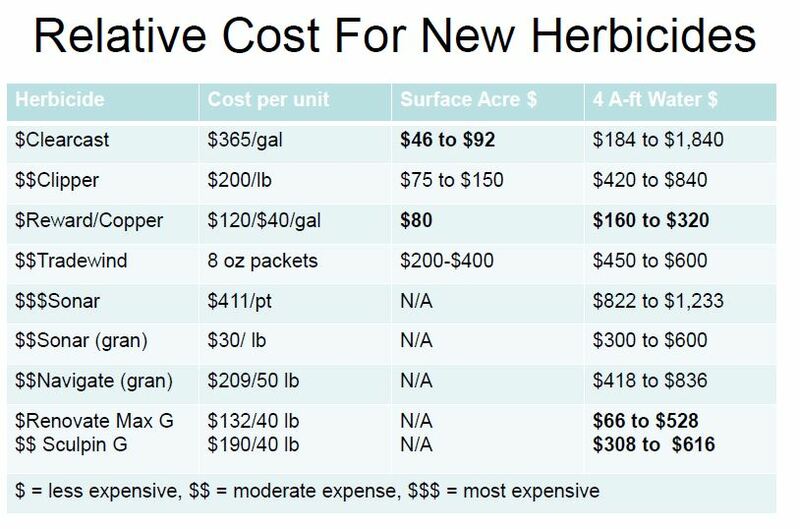 Chlorpyrifos or imidacloprid are the materials of choice. 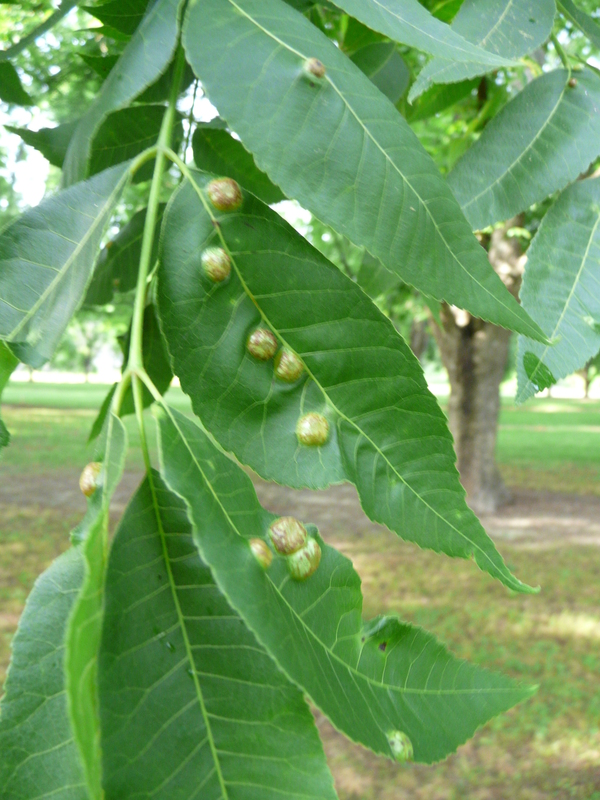 You can read more about Pecan Leaf Phylloxera on this blog post from last year. 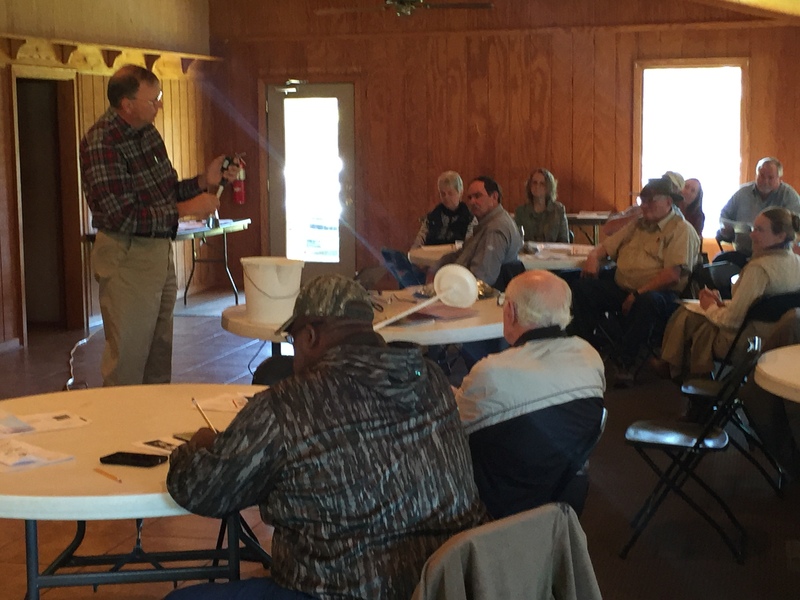 Professor Jeff Dorfman has helped develop a cotton survey from a research project funded by the Georgia Cotton Commission designed to help Georgia cotton farmers improve their production efficiency. 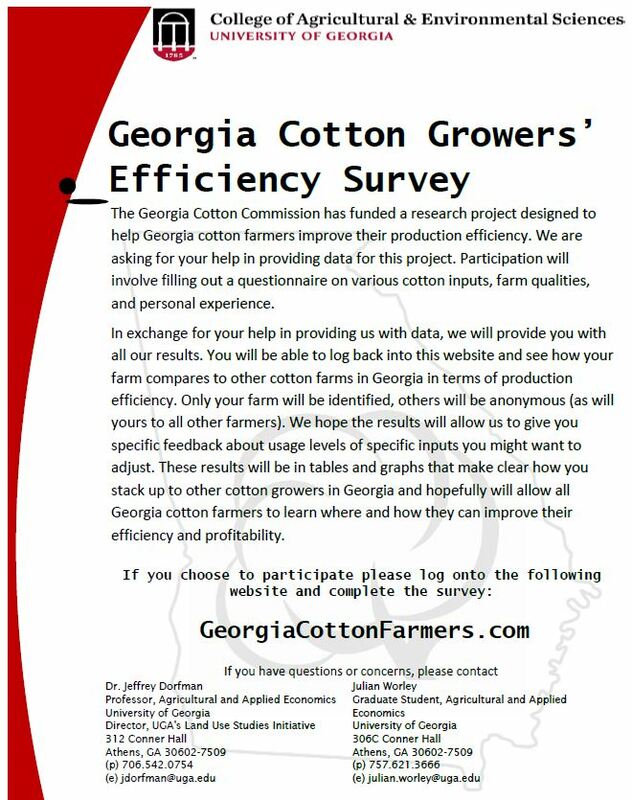 Producer involvement in this research project only involves filling out a questionnaire on various cotton inputs, farm qualities, and personal experience. You can find the survey at http://www.georgiacottonfarmers.com/.